I thought that I would change things up a little bit, and take a look at a weeks worth of TV for this post. I am a few days late with this but it has given me a chance to think the post through and maybe plan it out for future weeks, so here goes. This is a classic series and as Sky Movies are showing all of the films right now it is a massive opportunity to return to Middle Earth and a world that I loved as a child. In terms of the books The Two Towers is my favourite from the series, although it still falls behind The Hobbit for nostalgic reason. 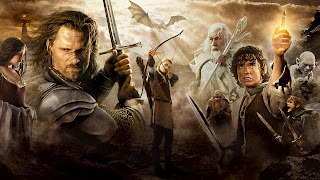 Dani prefers the Hobbit trilogy as it has the "fabulous" Lee Pace and Martin Freeman but for me the original film trilogy is my favourite. I don't know if this is because it feels like The Hobbit was too stretched out over three films or if there is simply more material for a film trilogy in Lord of the Rings. As I have grown older I have come to appreciate The Fellowship of the Ring more than I did as a child, when it just seemed to drag on for too long with nothing happening, and it was the perfect place to start on Monday. Robbie Coltrane growls his way through another episode of this Channel 4 drama as there seems to be something shady going on. The episode closes with Dee crashing her car through the front of one of the accuser's houses while leaving a message that she chooses to believe in her father. Julie Walters plays her complex character well as she struggles to balance her faith with her husband's indiscretions. Tim McInnerny must have a larger role to play in this drama over the final two episodes but I really hope it isn't anything too sinister as I can't help but see him as Captain Darling. I am concerned that the show is making you question the potential victims and their motives as you try and unpick what events actually occurred as a viewer. Additionally it hasn't shown the police in a very favourable light, pressuring vulnerable people with pointed questions as they try and build a case that simply doesn't appear to be there. Ok this one is more for Dani. I get dragged along for the ride every week hoping to see some disaster occur and adding some sort of inappropriate running commentary. In particular Tom seemed to spend all episode looking on in abject horror as if his latest bake was about to betray him by jumping up and slapping Paul and Mary across the face before mooning the camera. 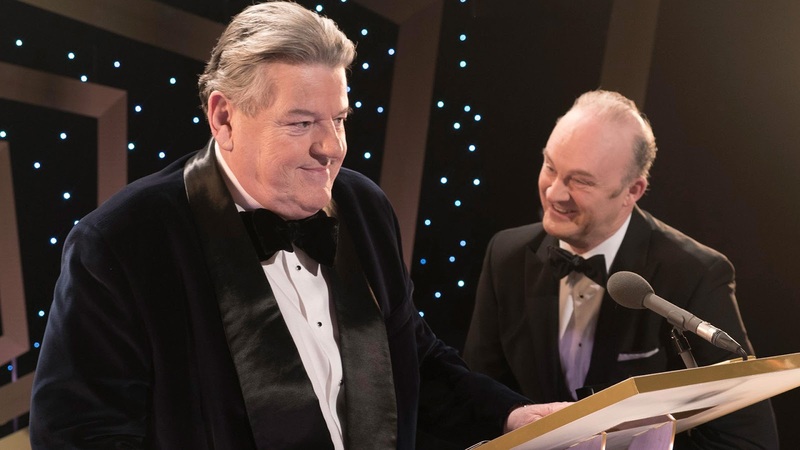 I can't see how this show will make a successful transition to Channel 4 with only Paul going with it as he appears to be the least popular member of the "cast". Mary is the grandma figure that everyone adores while Mel and Sue provide some much needed comic relief. While all this goes on Paul seems to apply fake tan in the background before finding some fault with everyone's attempt at baking, also what the hell is a lace pancake????? You can't put any filling on the Paul you madman. 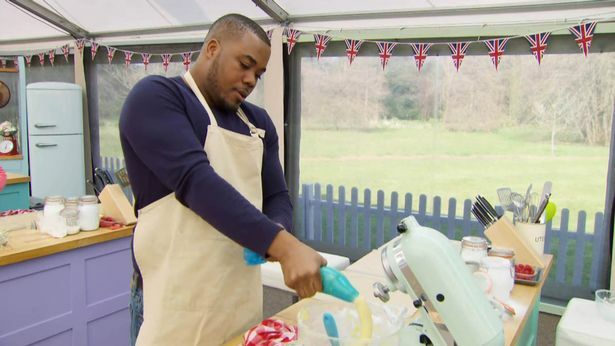 Of all the bakers competing for the title we like Selasi the most. You go Selasi! 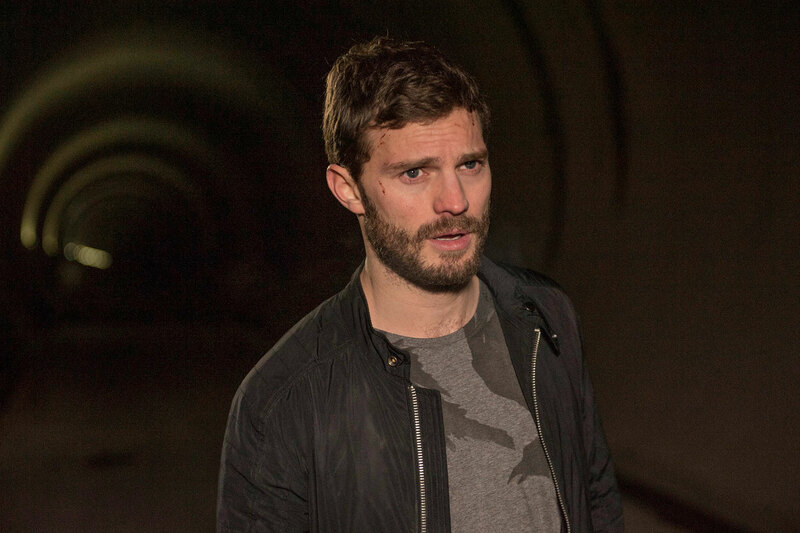 Jamie Dornan returns to our screens and once again has to take his clothes off. Thankfully this time he doesn't have to share any awkward screen time with Dakota Johnson, and the only reason his clothes come off is because the doctors are trying to save his life after he was shot twice at the end of the last series. We had the philosophical section with him stuck in limbo choosing between going into the light or back to his life and it seems he will be back for the rest of the series. Gillian Anderson returns to her role of tortured soul with style and it seems that a lot of focus this series will be on the fall out of her decision to take Dornan's Spector out into the woods to save Rose. Dear Jamie, please stick to these serious roles, your talent is put to much better use here rather than trying to breathe life into a cardboard Christian Grey. Hooten and Alex returned to our screens on Friday with an adventure involving the tomb of Alexander the Great. Lined up against them is a rival "archaeologist" who's dubious motives develop throughout the episode. Angel Coulby guest stars as a tough female character with a twist or two during the episode that keep our two leads on their toes. Hooten seemed to go more Nathan Drake than Indiana Jones this week while Ophelia Lovibond's Alex seemed to take some fighting lessons at the Colin Firth/Hugh Grant Bridget Jones school of fighting. The writers are trying to develop a relationship between our two leads almost forgetting that they mentioned Alex's engagement in last week's episode. Hopefully this will not become the focus over the next few episodes as I would really like to see the characters developed outside of any potential relationship first. Justin Timberlake, Anna Kendrick, Harry Potter (sorry, Daniel Radcliffe) and Robbie Williams were Graham's guests this week sharing some great stories although Robbie's was by far the best. Justin was possibly drunk, but entertaining while Anna was understated which was a shame as she is usually a delight. Both were very apologetic for Donald Trump, something akin to me when the subject of "Brexit" comes up. 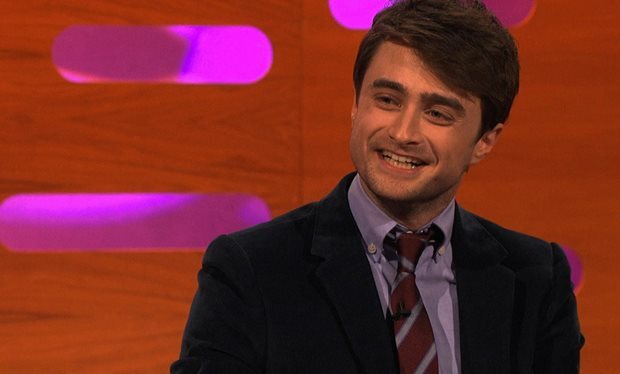 Daniel was there to discuss his latest films Imperium and Swiss Army Man. Both films look really good although at completely different ends of the spectrum. Imperium is a serious drama looking into the threat of White Supremacists in the USA while Swiss Army Man is a comedy involving Radcliffe playing a flatulent corpse. He also brought along "dead Daniel" a dummy that has seen better days after it was put through hell during the filming of Swiss Army Man. Daniel was brilliant as usual, entertaining and coming across as completely approachable. Robbie Williams shared a story from his time in Take That which you have to hear to believe. I was not a massive fan of his latest song, but then again my music tastes are stuck in the 70s and 80s. I spent the afternoon at Wembley watching the latest (15th) game in the International Series. Indianapolis and Jacksonville did their best not to win the game over the 60 minutes, Jacksonville tried everything to throw the game away in the fourth quarter. 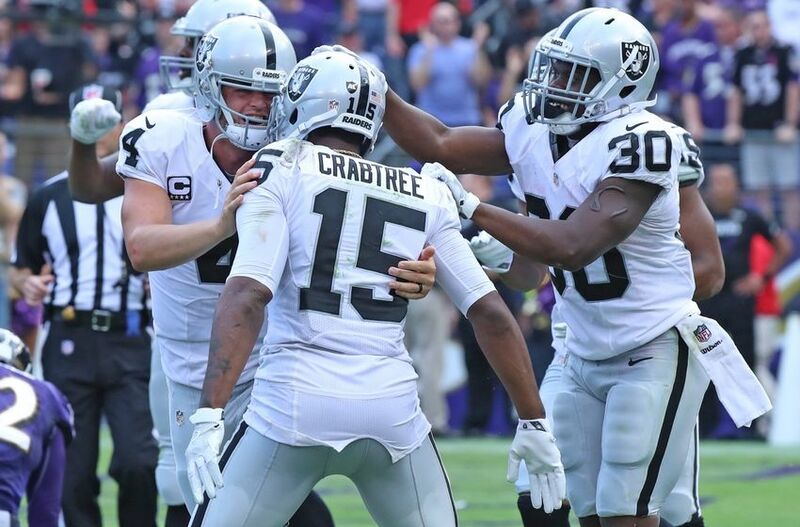 I returned home to watch the later games on TV with Baltimore and Oakland taking up most of my interest. Oakland continue to build on their foundations week in, week out and you can't help but feel that they will be there or thereabouts at the end of the season if they can keep everyone fit.